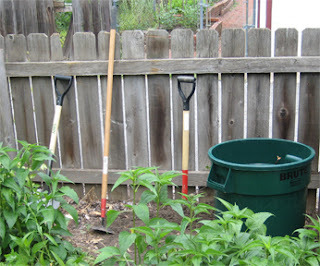 That Tad Guy: So you want to compost? I have a confession to make: I compost. I know, I'm just as surprised as you are. Now, before you call me a dirty, smelly hippie, let me explain something: I don't have a green thumb, but give me a house plant and I'll kill it in a week. So I'm playing to my strengths, really. First, I read a bunch of books. Okay, one book. It was by the Urban Worm Girl ( urbanwormgirl.com) and she covers both outside and inside composting. 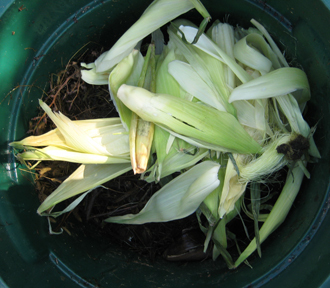 For the unfamiliar, composting is basically controlled decomposition. 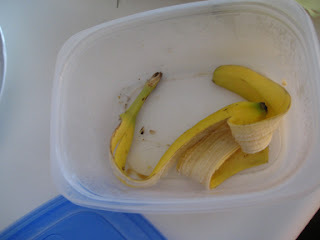 You take your non-animal kitchen scraps, place them in a container so animals can't get at them, cover the pile and all sorts of bugs, mainly worms, and micro-organisms, like bacteria, eat the garbage and turn it into nutrient-rich soil. There are a ton of expensive, elaborate and convenient options. 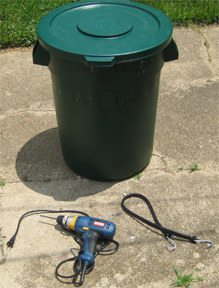 For me, I chose to go the basic route: a hard-rubber garbage can with lid and a bungie to hold the lid down. You'll also need a drill to get started. 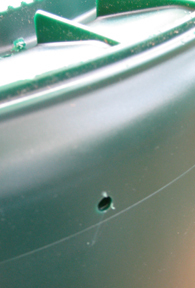 Drill about 20 holes in the bottom and around the base, so that earthworms can get inside and work their magic. Next, dig a hole in the ground, deep enough to cover the holes around the base. Once you have table scraps, lawn clippings and such, throw them in. 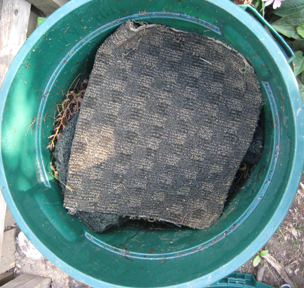 Cover the pile with old bathmats, carpet scraps, etc. to hold moisture in and encourage those worms to get busy. Secure the lid and strap down the bungie. Add scraps as needed. Once in a while, turn the pile with a pitchfork. 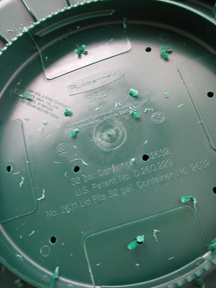 Now, if you're like me, you won't want to run out to the composter 3000 every time you eat some food. 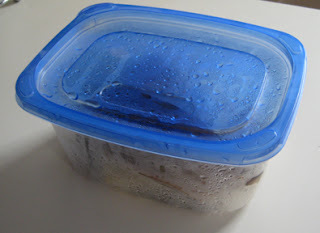 So, what I do is fill a simple Tupperware container with my scraps, place it in the refrigerator and take it out when it gets full. Just don't mistake it for lunch. 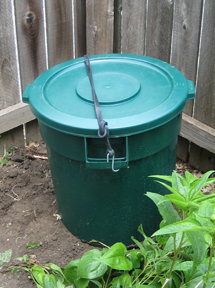 Good luck and great composting!